I’m doing a full engine rebuild on my mk3 Commando mainly because my camshaft lobes had severe wear and galling mostly on the right cylinder. Before stripping the engine I noticed about 1/8” of end float on the camshaft which I believe moves to the right when the engine is running due to the worm on the Rev counter drive. The right hand end of each cam lobe was largely unworn as if the lobe was not running centrally on the cam follower. ( see photos- hopefully!). I tried my new standard camshaft in the crankcases and there seems to be the same amount of lateral movement as before - - bushes are ok and I fitted a new thrust washer next to the Rev counter worm. I’ve had a look at the Mick Hemmings video and this doesn’t get a mention so maybe this isn’t an issue. However I don’t want to reassemble the bottom end and then discover the followers are misaligned with the cam lobes. Any information on this would be appreciated! Camshafts measure from tach thrust washer to sprocket is typically 1.015" (using 1971 NOS 06-1084 norton factory cam). 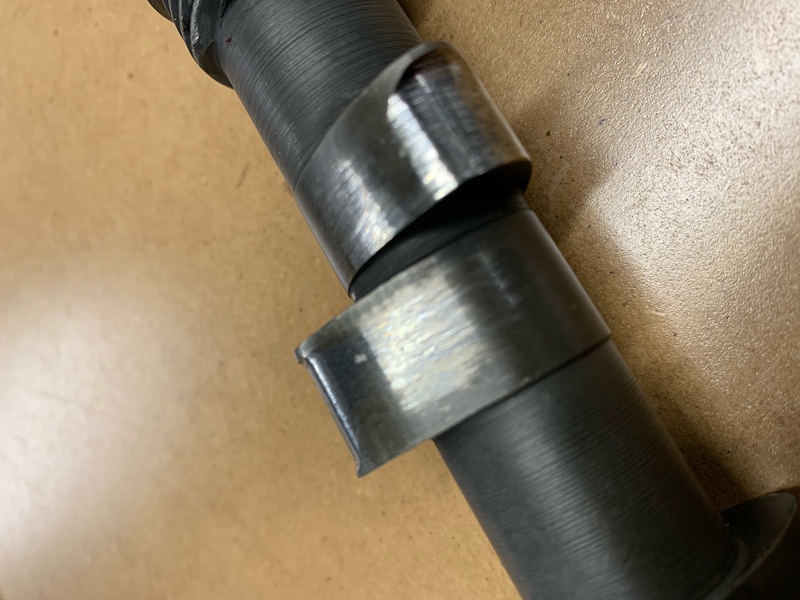 Cases are approximately 0.850" thick where the case cam bushes go. regular 850, combat cases, and 20M3s cam bushes with flanges or thrust washers always add up (with the case) to around 0.985". 1/8" is to much and indicates a problem. So checking your components by measuring them would yield the problem area..032" clearance is typical. Thanks for your reply - I’ll measure up and investigate further. How many miles did your camshaft have? Looks like the new camshaft have treatment problems today? mine 8,000 kms and two cams like you.! ! ! I have helped MKIII owners for a long time and I have NEVER found one to be properly hardened like early cams. I have done hardness tests on new, old and take-outs and it seems to show the story fairly well. I used a 71 20M3S cam for my MKIII. It is fine so far. 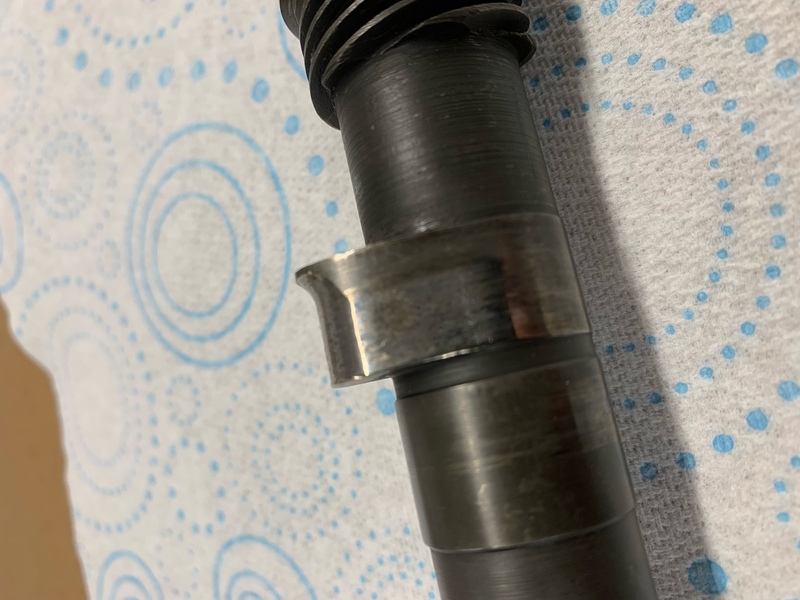 The camshaft was replaced at about 16,000 miles along with followers on right side according to a previous owners notes. The damaged camshaft in the photos had about 18,000 miles but I think was damaged just before I bought the bike in 2016. The owner had started the bike after it was lying up for 11 years in a shed and there was probably no oil circulating for a time.